The new Spica - when will the UK get it? 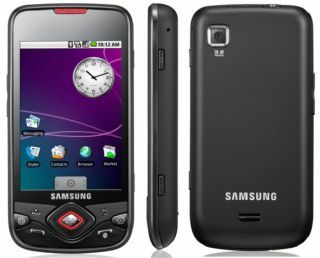 Samsung's follow up to the moderately well-received Galaxy Android phone, the i5700 Spica, has now popped up in Scandinavia. First available in Russia last week, users in Finland and Denmark are now able to buy the new device later in November. Prices vary between the two countries, but the phone is still expected to cost around £400 when converted. The phone itself is the same one released for launch in Russia (although with a different language pack obviously, unless Samsung is trying to force every customer to learn a new language). This means an 800MHz processor (fast), a 1500mAh battery (long lasting) and a 3.5mm headphone jack (audio-y). It also has diminutive dimensions of 115×57x13.2mm, so although it has a pretty high price tag it still qualifies as 'lite'. We're interested to see if / when the phone gets a UK release date, but just working it out based on the speed its traversing the globe, it should make its way here at some point in December.